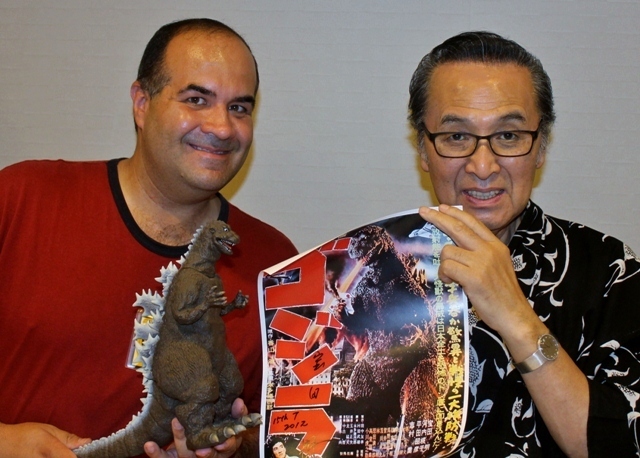 G-FEST and the Godzilla-sized Heart of Fandom! 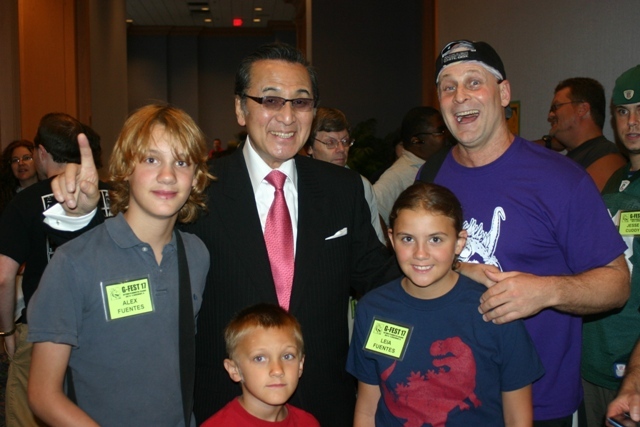 G-FEST, the quintessential Godzilla event, is known for bringing rare and wonderful stars of the Japanese Kaiju genre to the unlikely venue of my sweet home, Chicago. This year was no exception with the return of Akira Takarada & also the original Ultraman, Bin Furuya. Before I delve into that, I feel like I should mention that while I have illustrated in previous posts much of what G-FEST has to offer, there is no way that I can truly convey its essence. Yes, like other fan-based conventions, it offers celebrities, dealer rooms, and eager fans. These are incidental, however, to what really makes it unique. For lack of better words, G-FEST has heart! What most North American G-Fans don’t realize, is that many of the men and women we enjoyed watching in our favorite Kaiju films were often disregarded in their native Japan. One of their past guests, Harou Nakajima (the man inside the Godzilla suit as well as the original Rodan), was basically treated much more like a “prop” than as an actor at TOHO Studios. Walking into an event and suddenly receiving a huge standing ovation from a room full of fans they never realized they’d had often proves overwhelming. 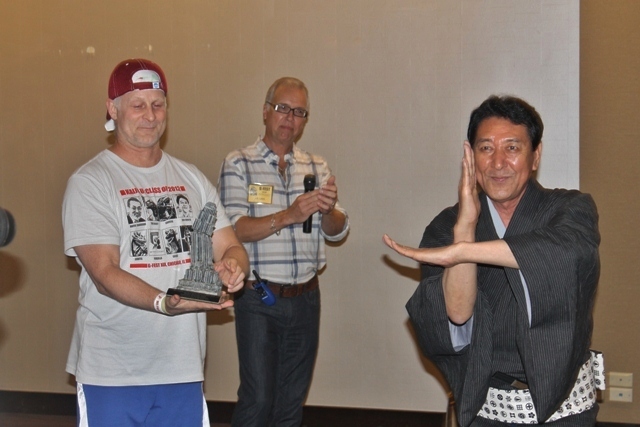 I’ll never forget the first Awards Luncheon I attended where Nakajima received his Mangled Skyscraper. He was visibly moved as his daughter (who had accompanied him) watched with tears of pride as her beloved father finally received the recognition he deserved. If that wasn’t enough to make even the most hardened individual break down in sobs, J.D. Lees delivered the decisive blow by reading a letter sent by TOHO asking that Nakajima return to the studio (for the first time in years) to receive a heroes welcome. 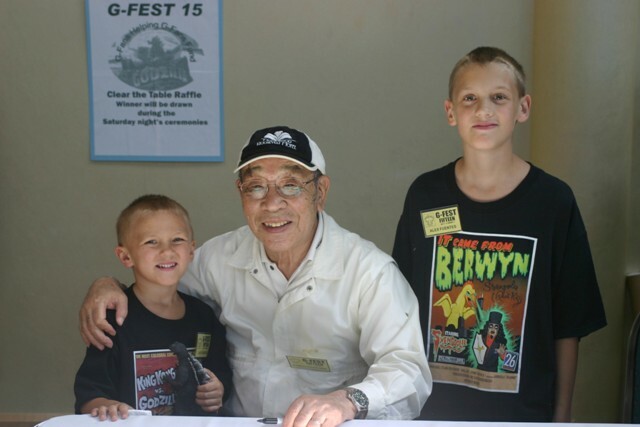 Actor Akira Takarada (who has starred in many Godzilla films including the original GOJIRA) was so impressed with G-FEST that he returned after his first historic visit in 2010 as a guest this year. Unlike many actors in the Godzilla films, Takarada moved beyond the kaiju genre to become one of Japan’s most respected actors – a title he still maintains today. Even he could not help but be visibly moved by the unassuming, yet substantial power of G-FEST. This year would prove no exception. 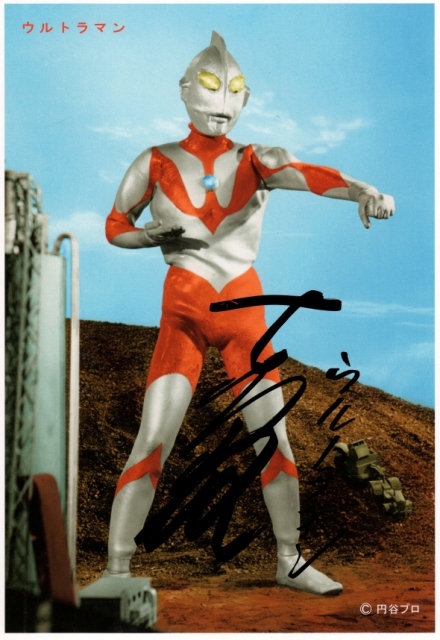 It was now the original Ultraman’s (Bin Furuya) turn to receive the coveted award. I’d had the honor of meeting him earlier that day and wondered how the confident Furuya would handle his big moment. Just like all the others, the actor broke down in appreciation (sending a domino effect of tears that started with Robert Scott Field and eventually reached everyone in the room save for the lunch servers). A group of fans had gotten up before the big moment and sang the ULTRAMAN theme song to him. Furuya told the crowd that in his 69 years, he’d NEVER felt such joy. This would not be the only emotional moment as it was also revealed that the weekend’s fundraising, which takes place each year via “G-Fans Helping G-Fans” (in no short thanks to the efforts of David Nunes), had raised over $4,000 to help a disabled fan realize his dream of going to Disneyworld. Takarada (also moved by this announcement) stood up and declared that he, too, would contribute. These rare moments are rarely seen at any fan convention yet G-FEST manages to hit the mark year after year. Godzilla has become an iconic and endearing figure since his creation in 1954 – a frightening symbol of the atomic power unleashed on Japan from the United States in WWII. How ironic that he has now become the most profound bound of friendship between the East and West; one that no official Treaty between any country can compare. And this, my friends, is the hidden magic of G-FEST. It is a three day event that illustrates each year that a giant, rampaging monster created out of fear, death, and destruction can one day become the ultimate symbol of Peace. This entry was posted in Atomic Monsters!, Celebrity Encounters!, Convention & Expos and tagged AKIRA TAKARADA, BIN FURUYA, Godzilla, J.D. 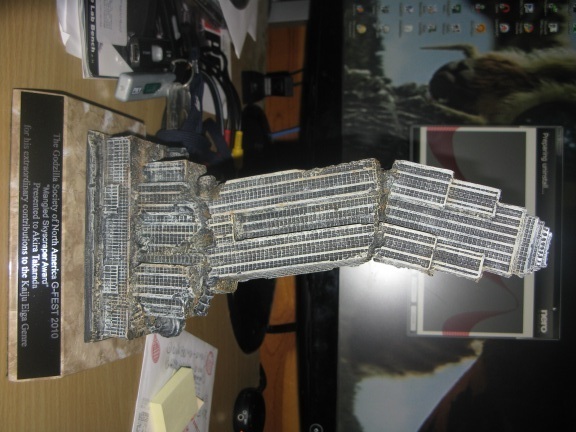 Lees, KAIJU, MANGLED SKYSCRAPER AWARD, ULTRAMAN. Bookmark the permalink. You couldn’t have spoken truer words, Dave. G-FEST is an amazing experience. My first G-FEST was in 1997, when it was still called G-CON. I’ve been going steadily for the last 7 years or so. Every year, it gets better, partly because I volunteer and get to meet so many more people, and partly because of the ongoing friendships that are developed and cultivated at G-FEST then maintained through FB and other sites. 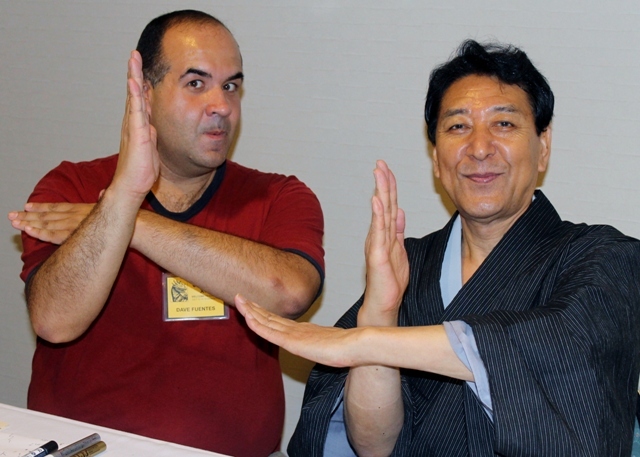 Meeting Bin Furuya was remarkable. It’s not often you get to tell one of your childhood heroes how much he meant to you, and still means to you. It was a very powerful experience for both of us. HEART is definitely the word you want when describing what makes G-FEST the incredible convention it is. I’m already looking forward to next year!